If you like Mexican food and live in the Orange County area, do yourself a favor and head over to Avocado. My wife and I have been fans of the place since it opened a year or two back and recently went there to celebrate a special occasion. As usual, we were not disappointed with the results and both walked away full and happy. 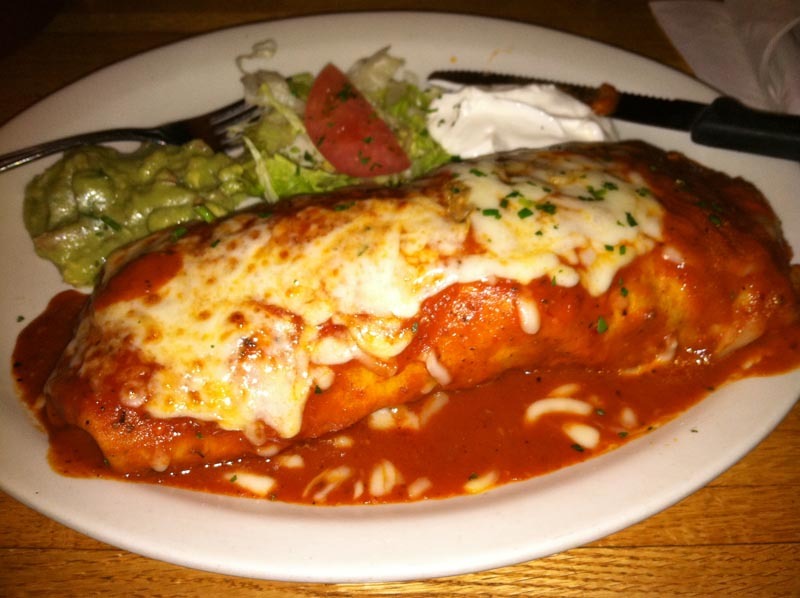 I’ll be honest, I tend to have a bad memory when it comes to exactly what combination of tortilla, meat, cheese and rice I’m ordering at any given Mexican restaurant is, but I love a good burrito and thankfully, they have awesome ones. This time, I tried the Carnitas version which is described on the menu as “Michoacan style pork carnitas, refired beans, rice, pico de gallo, cheese and chipotle sauce.” I wasn’t really sure what any of that meant ahead of time, but what I wound up with was a burrito packed with porky goodness and covered with a sweet sauce that I wish I had in my refrigerator at all times. I had eaten kind of a late lunch that day, so I took some of the burrito home and ate the leftovers the next day for lunch and it was just as good. So, there you have it. Eat burritos at Avocado and you’ll be happy.